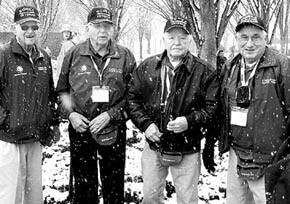 Four Boone County veterans who attended the March 25 Honor Flight to Washington, DC, share great memories of the reception they received during the trip. Thousands of people were on hand to greet the 581 travelers when they returned to Omaha’s Eppley Airfield Tuesday night after their 20-hour trip. Details in the April 2 Albion News Print and E-Editions.